Sevoflurane is a widely used anesthetic. A series of recent studies have shown that exposure to sevoflurane at an early stage is a risk factor for the development of learning and memory dysfunction. Euxanthone is a xanthone derivative obtained from Polygala caudata. This study was designed to investigate whether euxanthone can confer neuroprotective activities against sevoflurane-induced neurotoxicity and to determine the associated molecular mechanisms. Neonatal Sprague-Dawley (male) rats were exposed to sevoflurane with or without euxanthone treatment. The behavioral data of rats were collected at P41 (the beginning of the adult stage). The hippocampal tissue was obtained following exposure to sevoflurane. The reactive oxygen species (ROS) level in the hippocampal tissue was determined by a commercial kit. The expression of apoptotic markers and inflammatory cytokines was determined by western blot. The mRNA and protein expression of Nrf2 were determined by qRT-PCR and western blot, respectively. The rat in vitro model of neurotoxicity was established using isolated hippocampal neurons. Nrf2 expression was repressed by transfection of siRNA. The cell viability was assessed by the CCK-8 assay. The flow cytometry was performed to measure apoptotic cell death. Our data showed that euxanthone treatment at the neonatal stage protected against sevoflurane-induced neurotoxicity in adult rats. 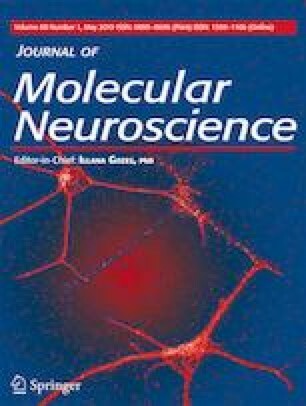 At the molecular level, our findings revealed that the neuroprotective activities of euxanthone were associated with decreased sevoflurane-induced apoptosis cell death and neuroinflammation. More importantly, our results provide the experimental evidence that euxanthone confers neuroprotection by upregulating Nrf2 expression. Euxanthone has a therapeutic potential for clinical prevention of sevoflurane-induced neurotoxicity. The online version of this article ( https://doi.org/10.1007/s12031-019-01303-1) contains supplementary material, which is available to authorized users. This study was funded by the National Natural Science Foundation of China No. 30872433. All protocols of animal experiments were reviewed and approved by the Institutional Animal Care and Use Committee of Shandong University. Animals were treated in accordance with the Guide for the Care and Use of Laboratory Animals (8th edition, National Academies Press).